After a quick trip to Rosario (another big boring city) we took an overnight bus to Mendoza. Wine country! Turns out wine country is so hot during the summer. We are melting. The first night at Mendoza Backpackers we stayed in a non air-conditioned dorm room to save a few backpacker pennies. Huge mistake. We spent the whole night sweating and awake. It was a rough start to beautiful Mendoza. 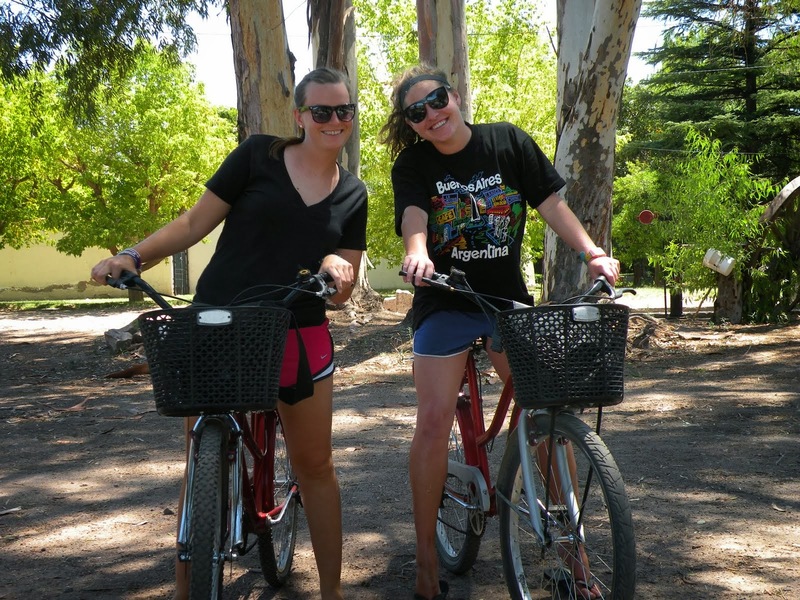 On our second day in Mendoza, Laura and I rented bikes from Mr. Hugo and biked from one winery to the next sipping red wine until our mouths matched the wine glass. We found the biking winery crawl to be a bit more dangerous then expected. We didn't wear helmets on small two lane busy roads. Laura's bike even broke down a few blocks into our adventure. We ended up finding the closest construction crew and asking for their tools and help. After two wineries and a lunch stop it was already a days adventure. We are self proclaimed wine experts now. That night and the following nights we upgraded to an air-conditioned room. Finally, sleep. We chose not to do any of the outdoor actives Mendoza offers since we had the chance to do so many free activities while working in Pucon, Chile. So we have been exploring the town which is amazing. There are also lots of great souvenir shops. Mendoza is our last stop in Arg... Off to Chile, again!